Single-use plastics used at this year’s Trinity Ball are to be sorted and repurposed as components of garden furniture, according to Trinity College Dublin Students’ Union (TCDSU) Ents Officer, David Flood. Efforts are underway to minimise plastic waste at this year’s Trinity Ball, which is set to take place on April 12. In September, Trinity News reported that TCD Plastics Solutions, a student-led group lobbying College to move away from unnecessary plastic use, were pursuing the introduction of a deposit scheme at the ball for single-use plastics. However, Flood has outlined that it is “challenging to introduce a cup deposit scheme to the Ball as the cups are so structurally sound that people could easily injure their ankle if they stepped on the cup”. Last year, 3,700 students signed a petition to Provost Patrick Prendergast, led by TCD Plastic Solutions, which demanded that single-use plastics be phased out of use in cafés and restaurants on campus. College has since taken steps towards reducing plastic waste on campus. The Buttery and the Pavilion Bar (Pav) have moved towards plastic-free alternatives, with compostable water, coffee cups, and paper straws available at the food outlets. As this year’s Trinity Ball is not entirely plastic-free, Flood stated that “things will have to change”. “The College is mandated to ban all single-use plastics at entertainment events on campus by summer,” said Flood, citing the upcoming Trinity Summer Series and next year’s Trinity Ball as examples. The Trinity Summer Series, a series of concerts in College Park, is set to take place this July with a five-day lineup. Vampire Weekend are to play on July 1, with Janelle Monáe, Paul Weller, Stereophonics, and New Order also joining the series. “People won’t like these changes, but it has to be done,” Flood stated. Online tickets for this year’s Trinity Ball sold out within 50 minutes, while the queue for tickets at House Six formed over two hours before sales began at 9am. The Coronas are set to headline the ball, accompanied by Bugzy Malone, Mabel, Mall Grab and Kojaque. Nina Nesbitt, Mella Dee, Le Boom, Honey Dijon, Kneecap, Sally C, Jordan Max, Toucan, Tebi Rex, The 2 Johnnies, Trinity Orchestra, DUDJ, Trinitones, Metabolix, and Clash Tribute will also play at the Ball. 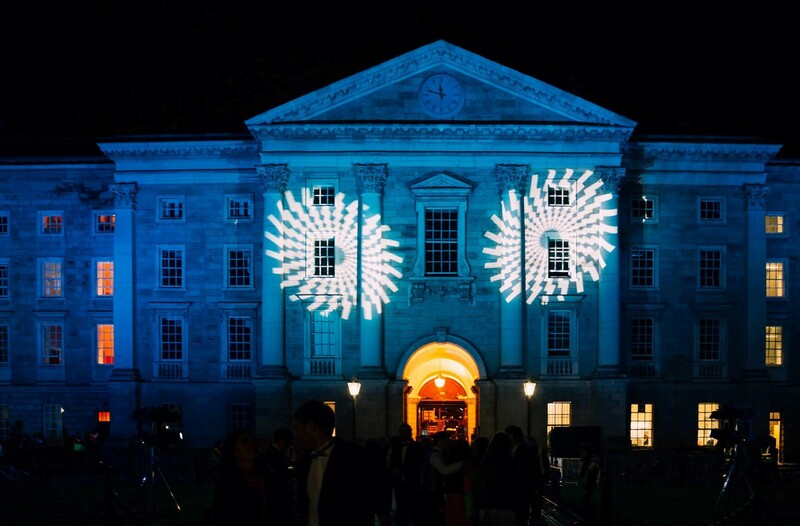 Controversy arose surrounding the April 12 date of Trinity Ball this year, which leaves students just over a week between the Ball and the start of exams. Students launched a petition seeking to change the date of the Ball to allow a longer interval between the events, which was unsuccessful.